Now that we're taking our first tentative steps into Autumn, we can hold on to a little bit of Summer by visiting Whitstable with pretty coloured beach huts and crystal clear seas. As part of the Blog Tour for The Whitstable High Tide Swimming Club: Part One: Diving In I have a guest post for you today about the real places you can find in Whitstable and tips if you fancy trying a bit of sea swimming, although I haven't so much as dipped my toe in the icy North Sea for many years. 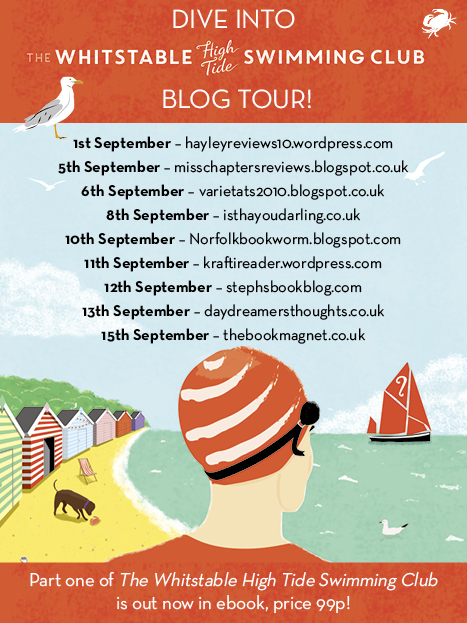 Inspired to visit Whitstable after reading the book? Here are five places you may recognise in real life. First things first: West Beach – and its lovely row of beach huts – is as glorious as it sounds in the book. Head west along the coast from the town centre, go past the sea-front houses, and you’ll come to it: quiet, beautiful, and covered in wild flowers from spring to autumn. Not everyone loves shingle beaches, but it’s easily solved with a pair of sea shoes and it sure keeps the sand out of your picnic. Don’t forget to check the tide tables if you want to swim like Maisie and Deb. When the tide’s out, you’ll be lucky if you can get more than ankle-deep. Sitting directly on the beach, The Neppy is a Whitstable institution, beloved of locals and visitors alike. With its white weatherboard exterior and picnic sets outside, it’s a magnet for summer drinkers, but it’s cosy in the winter, too, when sea-storms lash against the windows. If the crowds get too much for you, seek out some of Whitstable’s wonderful backstreet pubs, like the New Inn or the Smack. True locals drink in the Yacht Club, but you have to be a member. Set on a residential street not far from West Beach, the Windy Stores is the café you always dream of finding: great coffee, art on the walls, and the world’s most perfect mushrooms on toast for breakfast. Whenever you turn up, it’s always full of people tapping on laptops, giggling with friends over coffee or indulging in a slice of carrot cake while their kids queue for sweets. Whitstable is awash with wonderful cafés, from the classic Tea & Times to the new-fangled Blueprint Coffee and Whitstable Produce Store, and this book was written in most of them! Whitstable has a way of reminding you that it’s still a working fishing town. You only need to take a stroll into the harbour to see all the fishing boats lined up, and to buy shellfish – including the famous oysters – from the black sheds on the quay. Many tourists leave out the looming towers of the aggregates plant from their holiday snaps, but for me, this is part of what makes Whitstable so special: the collision of longstanding industry with arty ‘down from London’ culture. There’s now a permanent market on the harbour where you can buy anything from bric-a-brac to sushi, as well as crabbing nets to dangle off the end of West Quay. Take a tip from a local: to catch the big ones, you’ll need to use bacon as bait. Okay, I invented the pop-up gin bar where Julie gives Deb some unwanted career advice, but Whitstable’s drinking scene is getting an awful lot cooler, and unlike Deb, I think this is a great thing. If I had to call a favourite, it would have to be the Twelve Taps with its magnificent range of gins (sorry, Deb), craft beer and prosecco on tap. But I’m also deeply fond of goth micropub The Black Dog, the chic little bar attached to the David Brown Deli for a superb wine list, and, over in Tankerton, the wonderful Jo Jos at the top of the Slopes. Wherever takes your fancy, you’ll always be able to spot the locals: we’re the ones in striped shirts with wind-blown hair. To blend in, you’d better dress down. 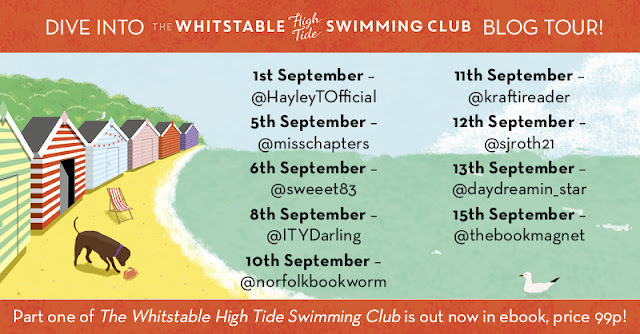 Inspired to take up sea-swimming after reading The Whitstable High Tide Swimming Club? Here are some tips for getting started. Every beach is different. Spend some time paddling first, and get a feel for how the sea is behaving. Is the tide coming in, or going out? Are there any rocks to avoid, or shelves where the waves break suddenly? If it’s a monitored beach, find the safe swimming area marked by red and yellow flags, and ask the lifeguard about any tides or currents you should take into consideration. Don’t be afraid to ask local swimmers for advice. Put simply, it’s harder to swim in the sea than in a pool. If you’re a weak swimmer, spend some time in the local baths first, developing your strokes and building up strength and distance. You could even work with a coach or take adult lessons to build confidence. I hate to say it, but a bright bathing cap like Maisie’s really can help you to stay visible. The best way to get used to cold seawater is to start swimming in the summer, and then keep going into autumn as the sea gradually cools. Winter is up to you. If you don’t have this option, it’s sensible to cool down gradually rather than shocking your body. If I’m swimming in cold weather, I stand on the beach in my cossie for a few minutes before getting in. 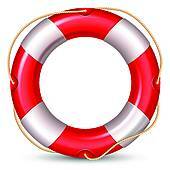 Get into the water slowly, and stay shallow so that you can get out quickly if you need to. Have warm clothing ready for when you get out, even if it’s the summer. A cup of tea helps if you get really chilly. Sea-swimming is one of the great pleasures of my life, and it gives me an instant hit of happiness. However, I know my limits and carefully assess the sea every time I swim. If I’m in any doubt about safety, I don’t go in; it’s as simple as that. You can read up on basic survival techniques on the RNLI’s excellent website, respectthewater.com. There are also some useful (and inspiring) articles for beginners on the Outdoor Swimming Society’s website: go to outdoorswimmingsociety.com and select ‘survive’ in the top menu.